Linda’s Bakery has passionately provided its customers daily with quality products, heartfelt service and an enjoyable experience. 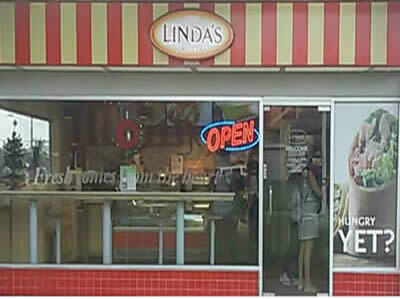 Visit Linda’s Bakery at its two locations, The JFK Quadrangle and Mobile Oven to Door Services (opposite the John Spence Building) offering a range of household favorites such as bread, cakes, freshly baked sweet and savory pastries, lunch menus, sandwiches, salads, and so much more to choose from. Opening Hours: Mon-Fri: 7:00 a.m. - 8:00 p.m.; Sat: 8:00 a.m. - 4:00 p.m. Enjoy the new ambiance created at the northern quadrangle of the UWI RBL Commercial Plaza that is Maria’s Bakery. 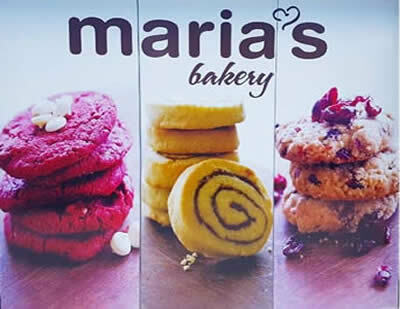 Maria’s Bakery offers a coffee bar and a wide range of freshly baked breads, pastries and desserts.